Update 1:00PM: The Hollywood Reporter confirmed to us on Twitter that the original quote was a mistake. Update 12:00PM: Comic Book Resources reported that an unnamed Marvel Television representative said Simone Missick will not appear as Misty Knight on “Iron Fist,” contradictory to the The Hollywood Reporter’s original quotes from Marvel TV head Jeph Loeb. We’ve reached out to Marvel Television and The Hollywood Reporter for clarification. Read our original story below. 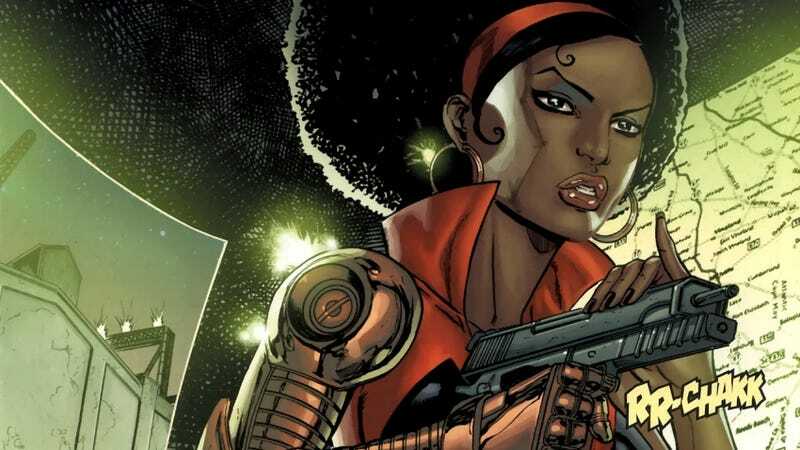 You can never have too much Misty Knight, and now you don’t have to. The head of Marvel Television confirmed that the superpowered martial artist, played by Simone Missick, doesn’t just have a big role in Netflix’s Luke Cage, but also in the upcoming Iron Fist. Marvel TV head Jeph Loeb told The Hollywood Reporter that Misty is going to be a regular presence on both series. Misty Knight, a detective with martial arts skills, was introduced in the 1970s as a sort-of representation of the blaxploitation trend. After she got injured on the job, Tony Stark made her a bionic arm that gave her super strength. The news makes sense, since Misty was romantically involved with both Luke Cage and Danny Rand (Iron Fist). But it might also be because Missick is getting so much praise as the character. In fact, she got more applause than Luke Cage star Mike Colter during their San Diego Comic-Con panel. Given how much screen time Misty is going to be getting on Netflix, and how much people seem to be loving Missick so far, wouldn’t it make sense for her just to get her own show? Loeb said he liked the idea, but wasn’t sure that Netflix would be down to add yet another series. Luke Cage debuts on Netflix Sept. 30. Iron Fist doesn’t have a release date yet, but it could be March or April 2017.